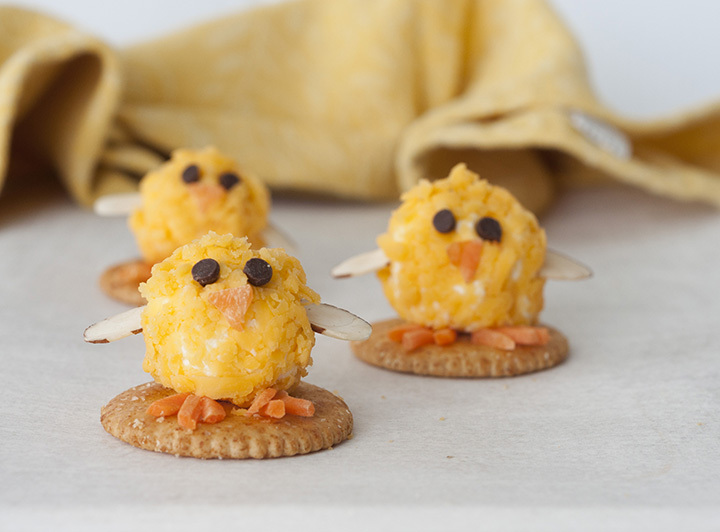 Baby Chick Mini Cheese Balls recipe would be the cutest addition to your holiday table for an Easter appetizer idea or a fun snack idea! 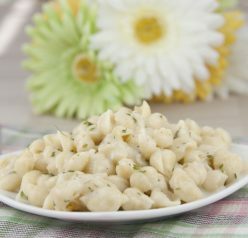 They are so easy to make and perfect for adults and kids to eat on the Easter holiday. Get ready for the cutest appetizer of your life. Yes, an appetizer can be cute! I honestly thought these Baby Chick Mini Cheese Balls were almost too cute to eat. I just wanted to save them and admire their cuteness for a little while. It makes me smile to think about the reactions they will get on your Easter dinner or appetizer tables this year when everyone sees them. Kids and “big kids” will love these! When I saw this idea floating around on the internet I knew I had to try them out. I have to admit that was several years ago that the idea popped in my head. 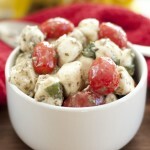 It may take me a while to get to recipe ideas, but they always eventually end up happening! 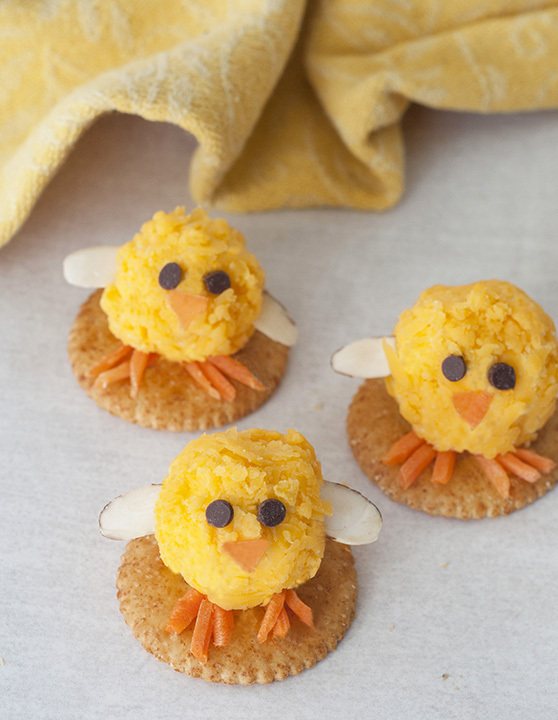 I couldn’t let this Easter come and go without these adorable little appetizers. While the general idea came from browsing the internet years ago, I adapted my new favorite cheese ball recipe for the actual cheese ball. This Everything Bagel Cheese Ball has been a hit with my readers and social media ever since I posted it and I had to get another run out of it. I did not include all of the ingredients from that cheese ball in these because I wanted a little less intensity of flavor since the cheese balls are so small. They turned out perfect! If you’re looking for more savory Easter inspiration, my old-fashioned egg salad recipe is to die for. It’s great for Easter day, but also for those leftover hard-boiled eggs. If you make this Crock Pot Ham along with these Baby Chick Mini Cheese Balls as your appetizer, you will be viewed as a rock star for the day. Happy Easter, friends! 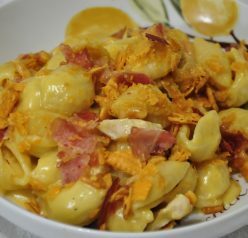 In a mixing bowl, beat cream cheese, cheese, and bacon together with a mixer (can just use a spoon). Scoop and roll mixture into small round balls. Roll around until coated in finely shredded cheese. Cut small triangles of carrot for the nose and small pieces of carrot shreds for the feet. Put one sliver on each side of the cheese balls, pressing it in, for the wings. Place the very small pieces of olives on for the eyes. Store in refrigerator until ready to serve. Place on your favorite crackers just before serving. Don't refrigerate the crackers or they will get mushy! These are the cutest thing! Thank you! I thought so too. Haha. 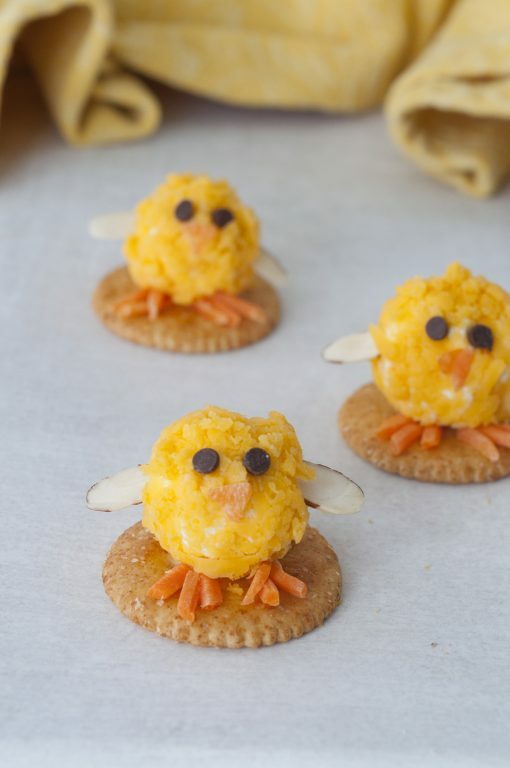 These are seriously so cute and would make a fantastic Easter or spring appetizer/snack. These are seriously the cutest thing ever for Easter! They’re perfectly adorable! So cute! And tasty, I’ll bet. These look outstanding — very creative. Thanks! Those are adorable, LOVE this! Oh em gee, could these be any cuter? So adorable. These are so stinking cute!!! I love how easy they are to make too! These are so cute! Definitely going to make these for my family Easter this year. These are SO darn cute! Perfect Easter sweets! My kids really loved these! So adorable! Just found my Easter appetizer! Thank you! Holy moly – these are adorable! I think I need at least a dozen of them ASAP!